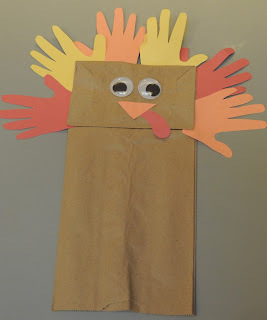 Trace childrens' hands onto construction paper and then have them cut them out to use as feathers for their turkey. Provide eyes,a beak and wattle. Allow the children to glue all the pieces onto a brown paper lunch bag to make a turkey puppet.